Alcoa is currently seeking an experienced, highly motivated and energetic leader to join our Global Program & Commodity Management (PCM) team based in Australia. Working from Australia’s Corporate Office, the Commodity Group Manager leads the delivery and execution of their team’s assigned commodities and specified categories in Alcoa’s Indirect Materials and Services (including Facility Services, Mechanical/Electrical, Access/Scaffolding, Industrial Cleaning, Civil Services, MRO, Production Support, Refractories, and Indirect Chemicals & Coatings) to Alcoa’s global / regional operations (including Bauxite, Alumina & Aluminium). In addition, supports with other teams in the global Procurement team the successful implementation, execution, compliance, performance management to Global and Regional procurement and commodity/spend category strategies, contracts, processes, and policies. This is a pivotal supervisory role in the global procurement team, working with customers and suppliers on a global and regional basis to drive contract utilization and continuous improvement, and improved cost benefit and results to the business. It is the single point of co-ordination for the assigned commodities and provide advice, guidance and support to the Commodity Management Team Lead – Services with respect to the program of work for Site Services Commodity Management. Our values – act with integrity, operate with excellence, care for people – are at the foundation of everything we do. To be successful in this role and to play a part in our ongoing success you will be required to be an entrusted leader, with recent substantial category management experience, and the ability to develop and maintain influential relationships with key stakeholders, both internally and externally, along with well-developed negotiating, analytical, verbal and written communication and problem-solving skills. You will be an experienced procurement professional with substantive, demonstrated leadership and supervisory experience in a similar role. 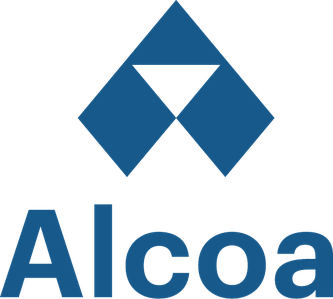 Also, you must be able to identify and drive business opportunities and process improvements to deliver Alcoa’s business goals. We are looking for someone who has a high level of communication skills, enjoys using their initiative for continuous improvement and delivering results, with the ability to support, guide, mentor and coach teams. Tertiary qualified with Bachelor Degree (or higher) in Strategic Procurement, Supply Chain Management, Purchasing, Business or similar is a requirement for this role. Professional certification • CIPS, CPM, APICS, P.E. would be highly regarded. Minimum 5 years’ experience in leading and managing a global and/or regional Procurement Category Management team (or equivalent) in the Mining and Resources industry or similar. Demonstrated ability to communicate and influence key stakeholders. Multiple language knowledge and multiple country experience is beneficial. Strong working knowledge of Procurement and business processes and extensive experience as a Purchasing Manager in heavy industry or similar level. Alcoa is currently seeking an experienced, highly motivated and energetic leader to join our Global Program &amp; Commodity Management (PCM) team based in Australia. Working from Australia’s Corporate Office, the Commodity Group Manager leads the delivery and execution of their team’s assigned commodities and specified categories in Alcoa’s Indirect Materials and Services (including Facility Services, Mechanical/Electrical, Access/Scaffolding, Industrial Cleaning, Civil Services, MRO, Production Support, Refractories, and Indirect Chemicals &amp; Coatings) to Alcoa’s global / regional operations (including Bauxite, Alumina &amp; Aluminium). In addition, supports with other teams in the global Procurement team the successful implementation, execution, compliance, performance management to Global and Regional procurement and commodity/spend category strategies, contracts, processes, and policies. - Tertiary qualified with Bachelor Degree (or higher) in Strategic Procurement, Supply Chain Management, Purchasing, Business or similar is a requirement for this role. Professional certification • CIPS, CPM, APICS, P.E. would be highly regarded. - Minimum 5 years’ experience in leading and managing a global and/or regional Procurement Category Management team (or equivalent) in the Mining and Resources industry or similar. - Demonstrated ability to communicate and influence key stakeholders. - Multiple language knowledge and multiple country experience is beneficial. - Strong working knowledge of Procurement and business processes and extensive experience as a Purchasing Manager in heavy industry or similar level.